Cebu City has so much to offer for tourists in terms of Filipino-Spanish heritage sites, famous churches, museums and popular festivals. A few of the gated communities located on the mountainsides also offer great views of the city. Here are some of the popular attractions in Cebu City that you should not miss. Magellan’s Cross – The original cross made of tindalo wood is said to be inside the wooden casing. Just steps away from the Basilica Del Sto. Niño is the famous Christian cross planted by Portuguese explorer Ferdinand Magellan upon his arrival in the Philippines on March 31, 1521. 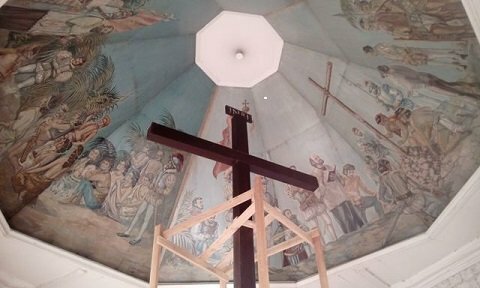 The cross is now housed in a small chapel located in front of the Cebu City Hall, along Magallanes Street. It is one of the top tourist attractions in the city because of its great historical significance. 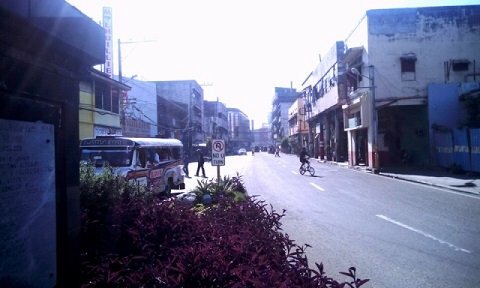 Colon Street – Considered the oldest and shortest national road in the Philippines. 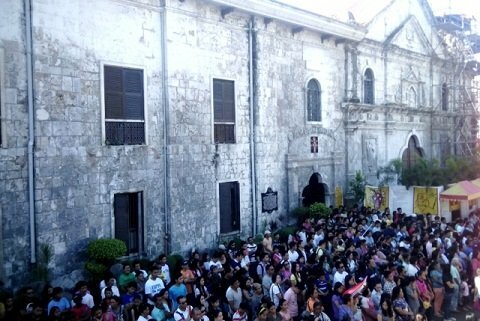 Colon Street is not only the oldest street in the Philippines it is also one of the most crowded parts of Cebu City. This street never fails to fascinate the adventurous tourists as the old stores and new shops sell much cheaper prices versus their competitors in the malls. 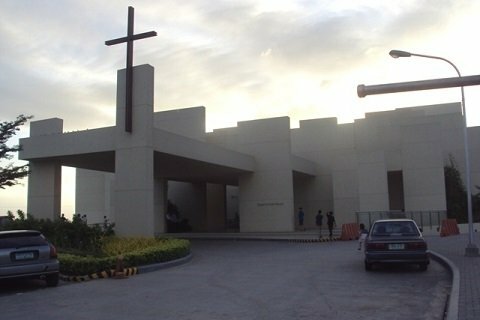 Chapel of San Pedro Calungsod – One of the most modern & unique churches in the Philippines. The Chapel of Pedro Calungsod is the most modern church in Cebu City. This church has about 100 walls, each of different height and width and looks like a giant concrete puzzle from afar. The unique walls face one direction so it would look completely opaque on one side and totally transparent in the other. It’s definitely a sacred place of prayer and meditation and one not to miss. Basilica Del Sto. Niño – A favorite destination for millions of pilgrims each year. The Basilica Del Sto. Niño is known as the oldest church in the Philippines and was built in 1565 by Miguel Lopez de Legazpi. This holy church houses the most famous statue of Santo Niño, which symbolizes the child Jesus. Local and foreign tourists are mesmerized by the beautiful antique chandeliers, painted ceilings and several statues of Saints. The Taoist Temple, a quiet place with a stunning view of the city. 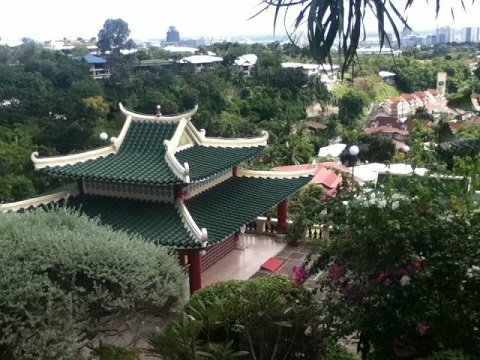 The Cebu Taoist Temple is located in the mountainous Beverly Hills Subdivision in Lahug, which is believed to be the millionaires’ quarter of the Cebu. It’s about six kilometers from the city center and is three hundred feet above sea level. This towering temple is the center of worship of Taoism and is open for worshipers and non-worshipers alike. You’ll also enjoy the scenic view of downtown from the balcony. 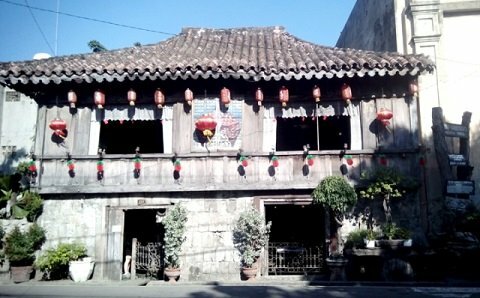 Yap-San Diego Ancestral House – Oldest residential structure in the Philippines. The Yap-Sandiego house is located on Mabini St. Cebu, a few meters away from Colon Street. This amazing 300 year old house was built from wood and coral stones. Inside you will see antiques passed from the family’s eight generations. It’s one of the best kept secret Cebu can offer to its tourists. The Sinulog is the most awaited street parade festival in Cebu City in honor of the Santo Niño. 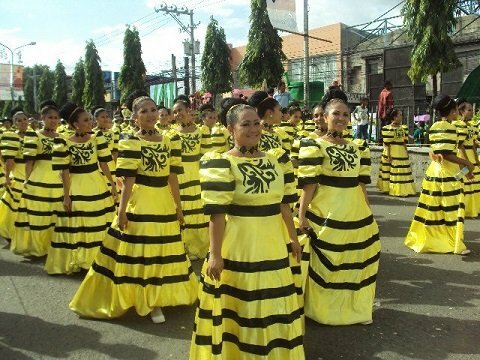 Every third Sunday of January participants with their colorful costumes dance to the beat of drums and trumpets. You can also see a number of famous actors and actresses on board the floats. Tourists are advised to book in advance as hotels and pension houses may be jam packed for the event. Heritage of Cebu Monument – Gigantic sculptures showcasing the history of Cebu. This historic monument is located at the original Plaza Parian in Cebu City. 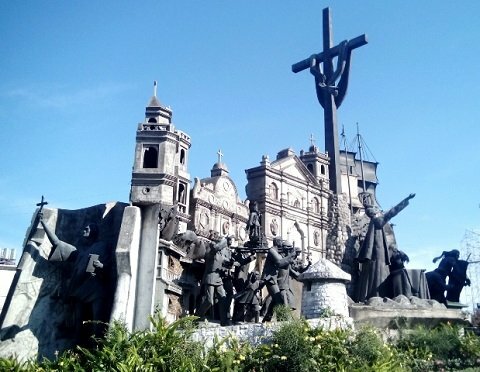 A gigantic tableau of sculptures made up of metals and concrete showcases the history of Cebu from the time of Ferdinand Magellan to the recent beatification of Cebuano martyr Pedro Calungsod.